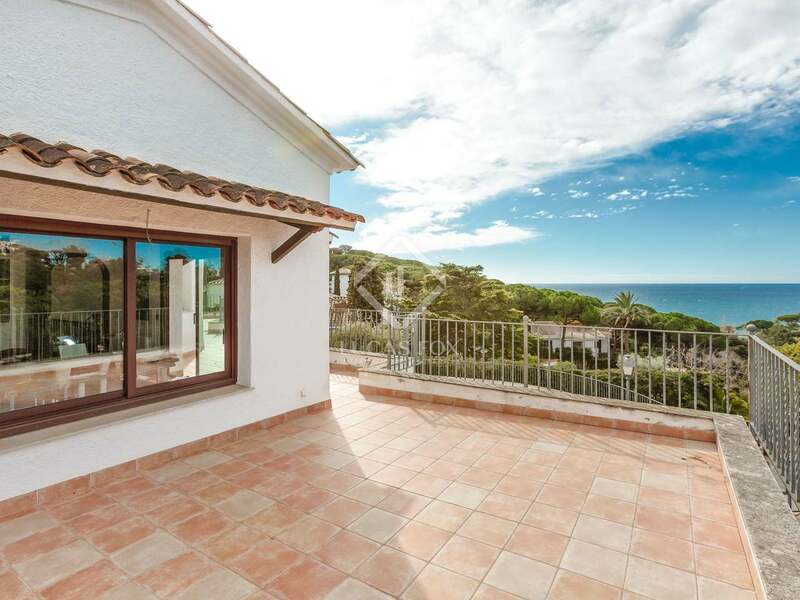 Splendid spacious villa with impressive sea views for sale just a walk away from Montgoda Beach, on the Costa Brava. 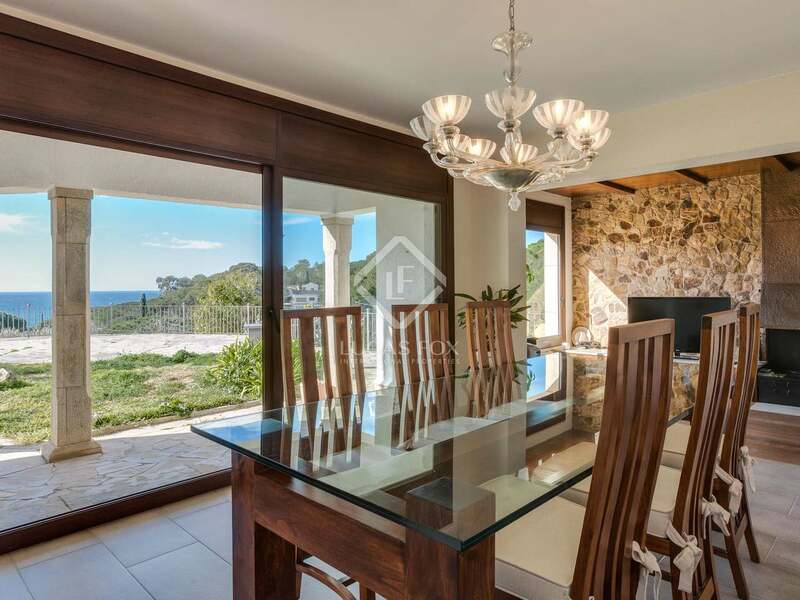 This fantastic Mediterranean-style villa of 450 m² sits on a reasonably level west-facing plot of 1,300 m² with phenomenal sea views and plenty of privacy. 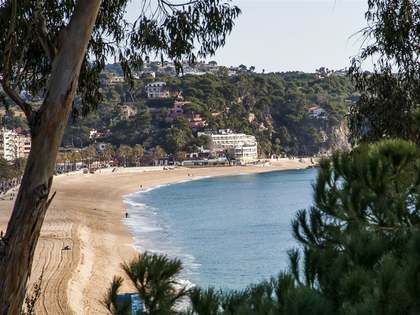 It is in the Montgoda residential area, 20 minutes' walk from Lloret de Mar town and just 350 metres from the pretty beach called Cala Trons, which is ideal for swimming and sunbathing. 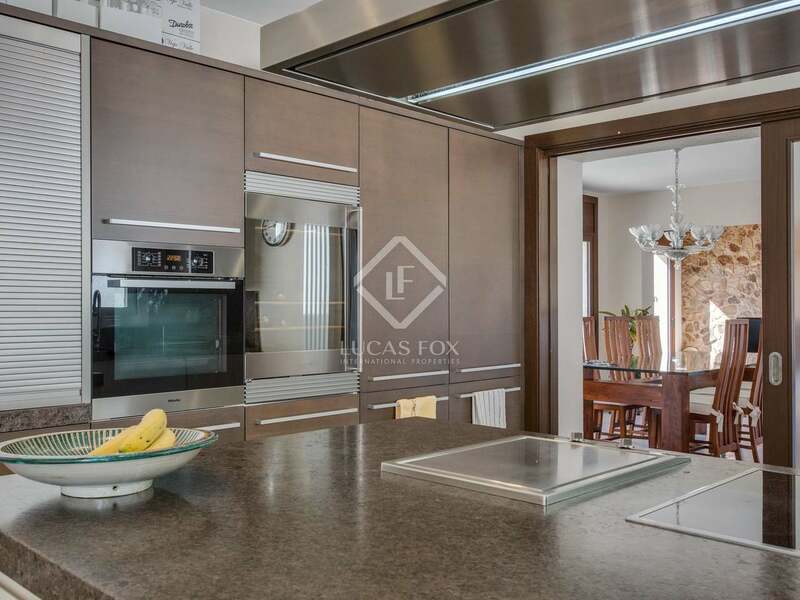 The house was built in 1973 but was completely renovated in 2012, presented today in move-in condition. 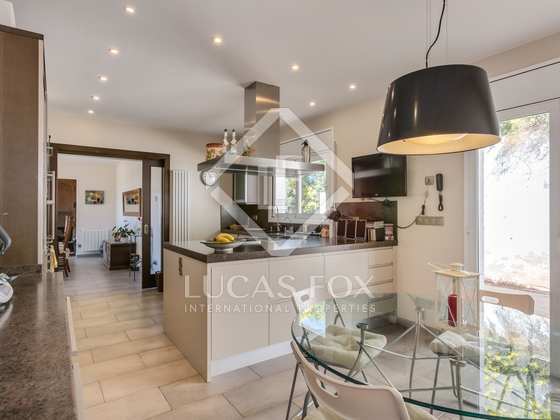 The ground floor offers an entrance hall which leads us to a living room with a fireplace, a dining room and a very modern separate kitchen; all with access to the very private garden. 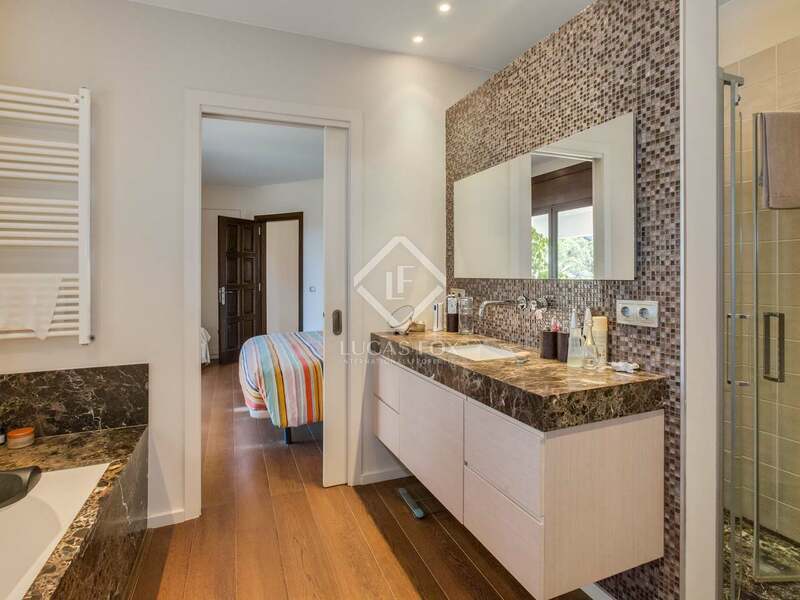 A guest toilet serves this day area and there is a bedroom and a master suite with its own bathroom and garden access. 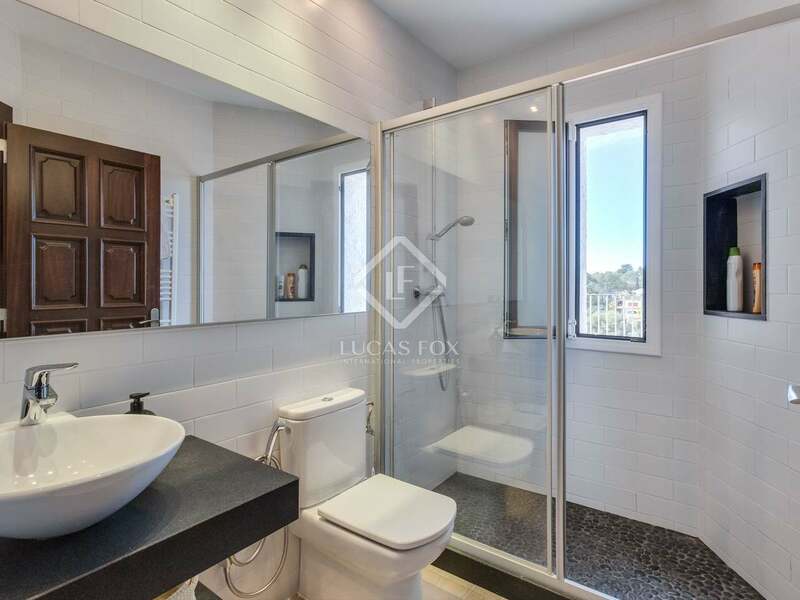 On the first floor we find 3 bedrooms and a bathroom. 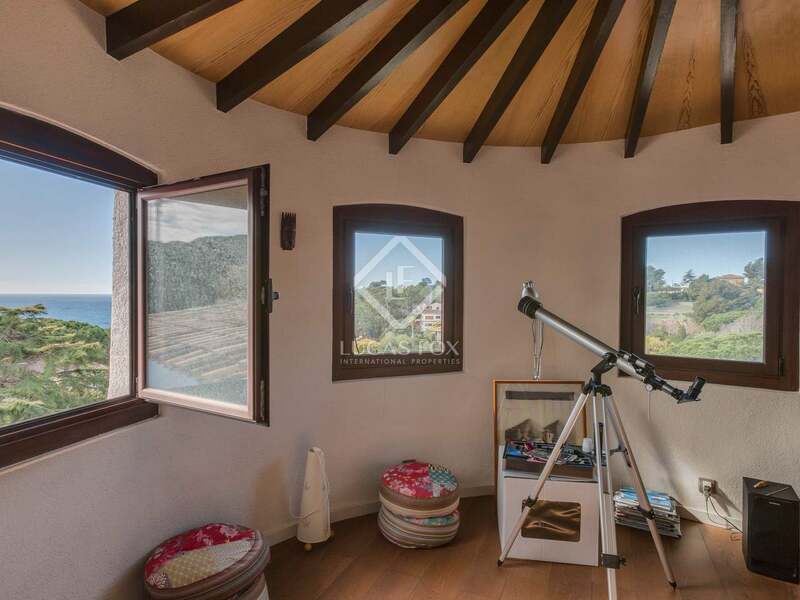 The tower can be reached from the first floor and accommodates a multi-purpose room with spectacular sea views. 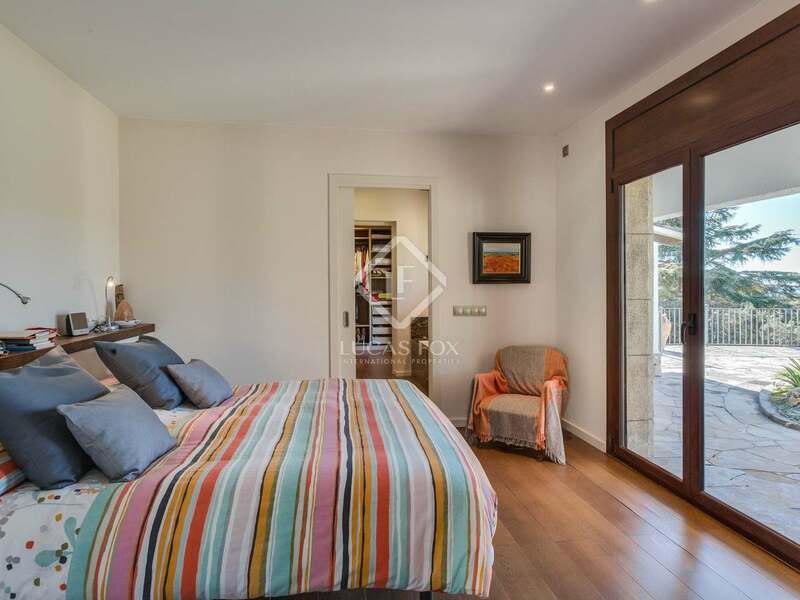 It could also be used as another bedroom if desired. 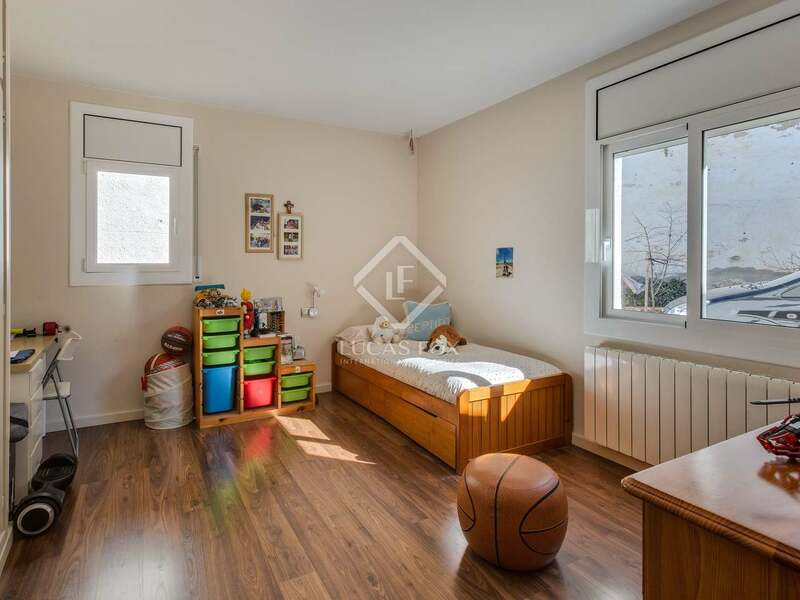 The basement offers a 2-car garage and a carport for a further 3 cars, as well as a storage room. 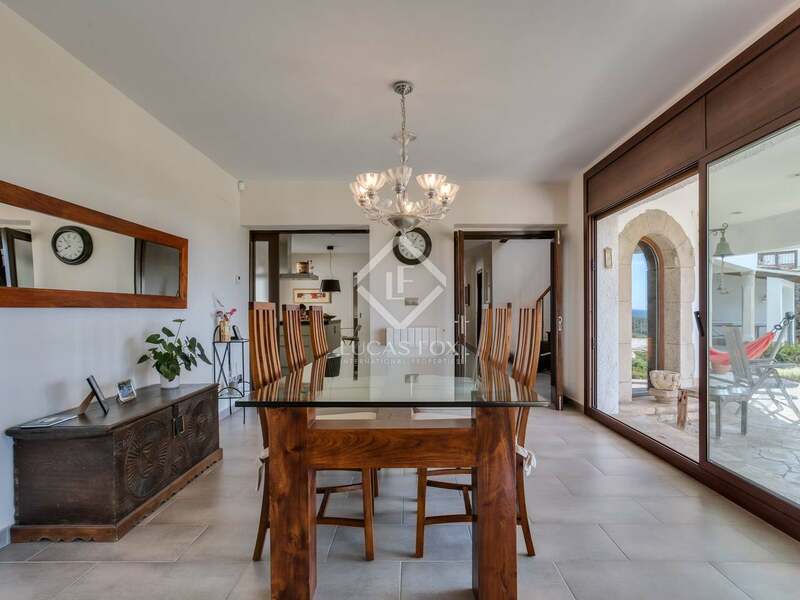 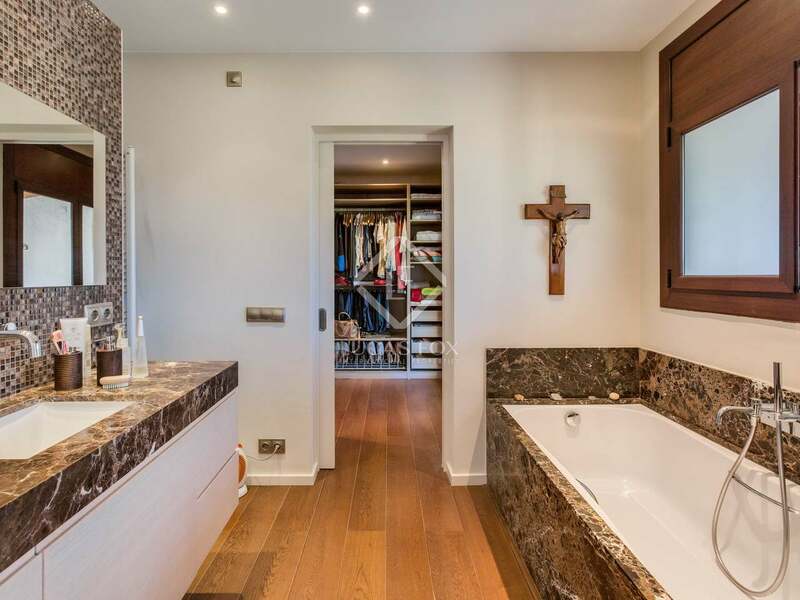 Additional feature of the property include the interior and exterior alarm systems, water softener, tank for automatic garden watering, a barbecue area, exterior lighting with timer, a wine cellar, electric heating and the automatic door. 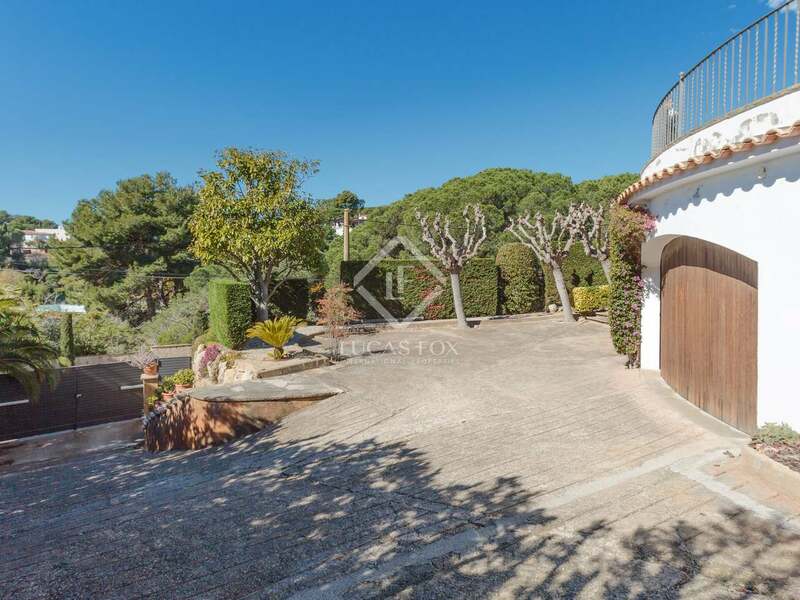 Privacy and sea views in an idyllic enclave on the Costa Brava. 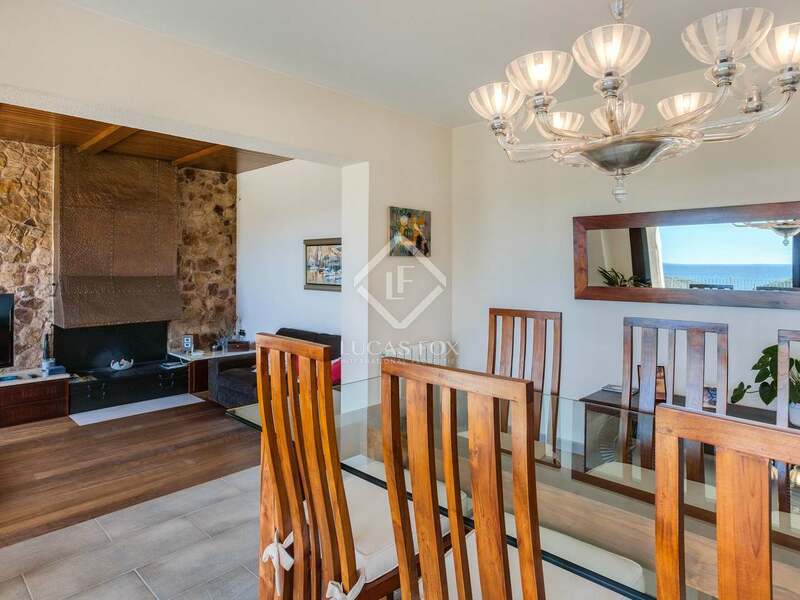 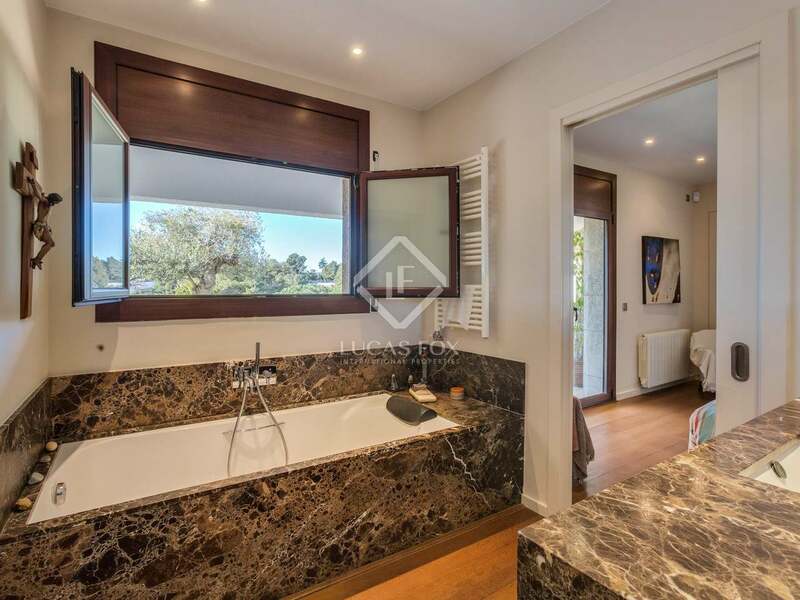 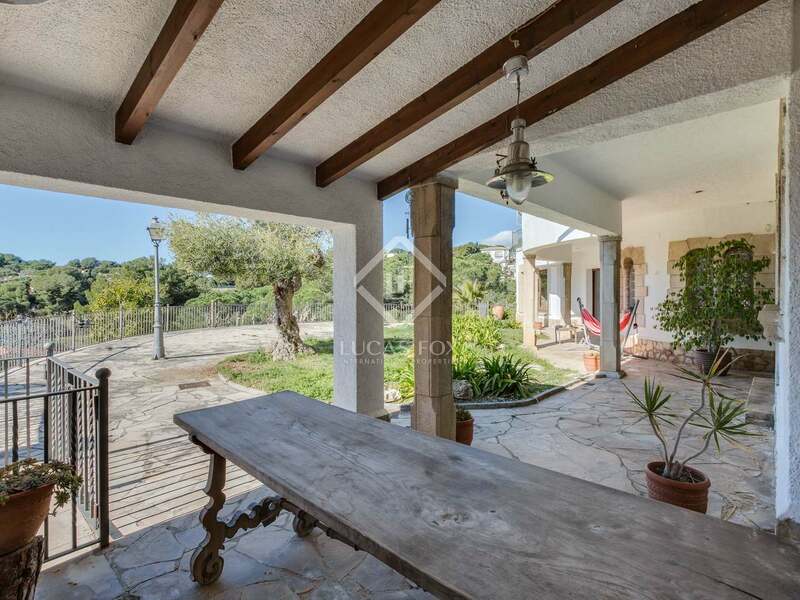 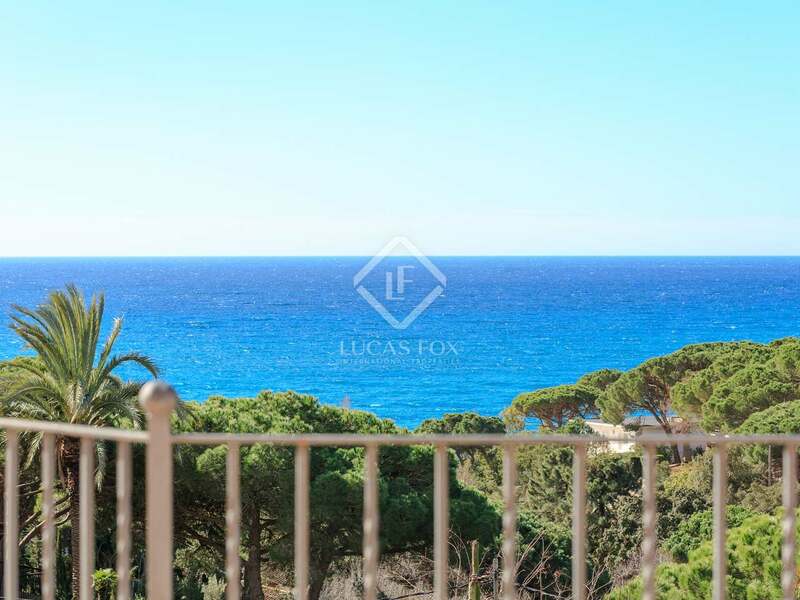 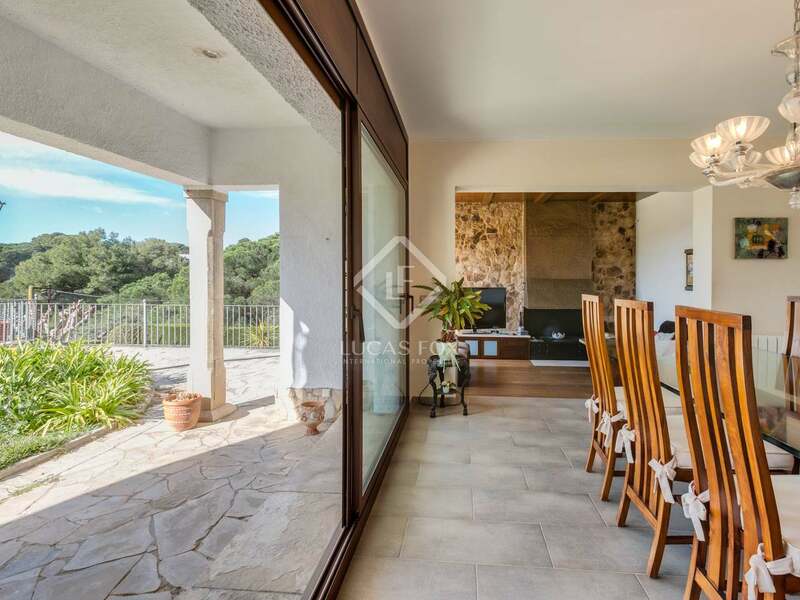 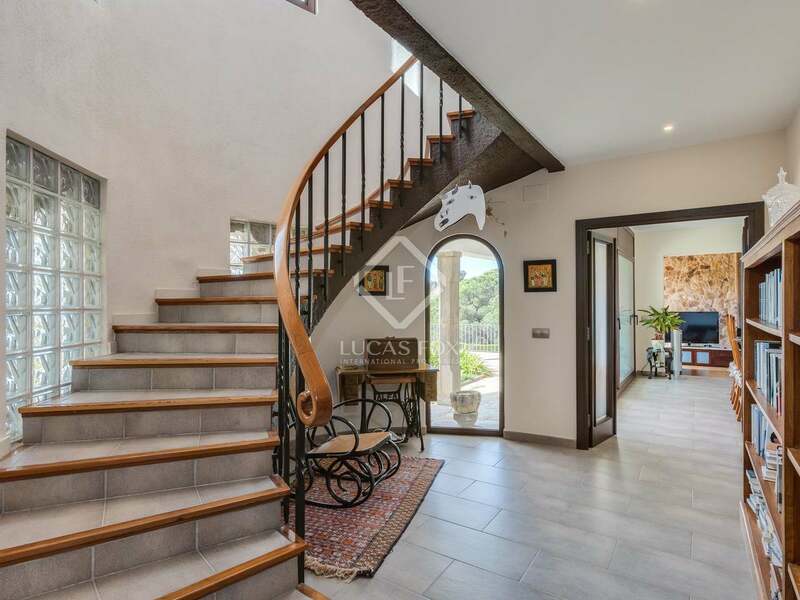 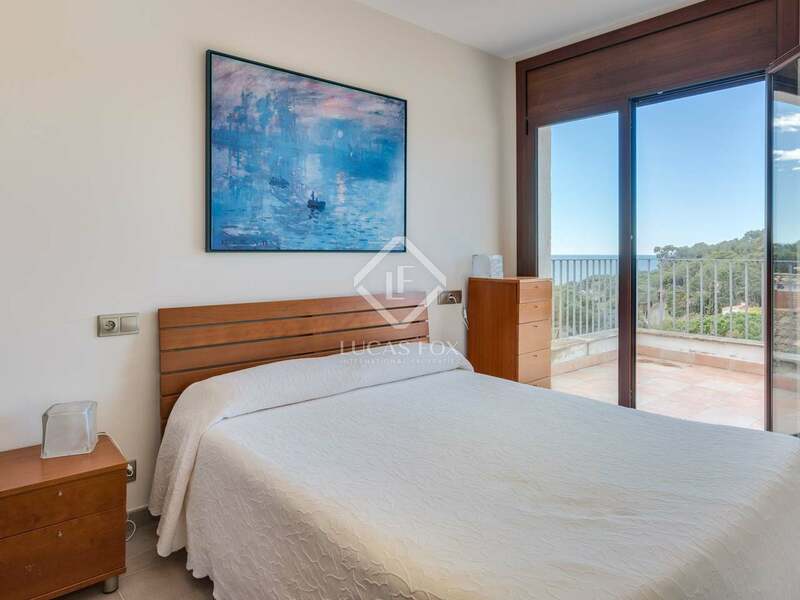 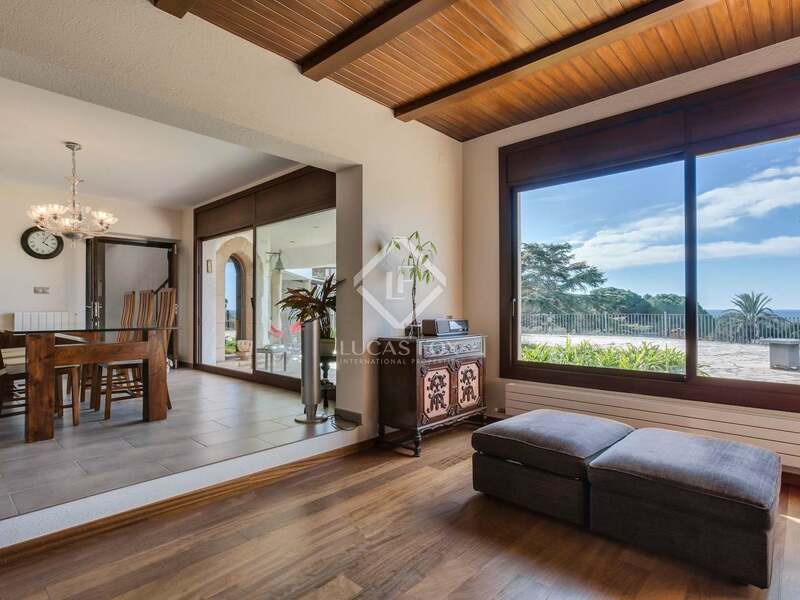 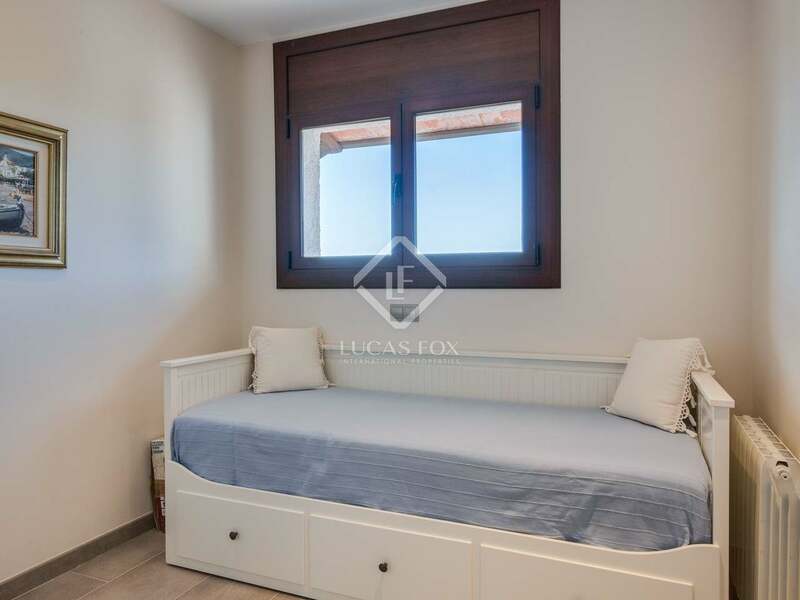 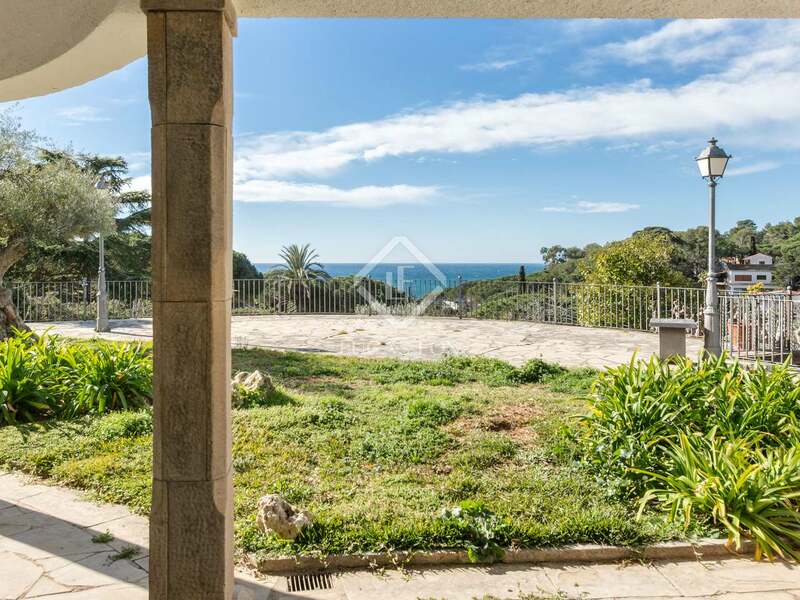 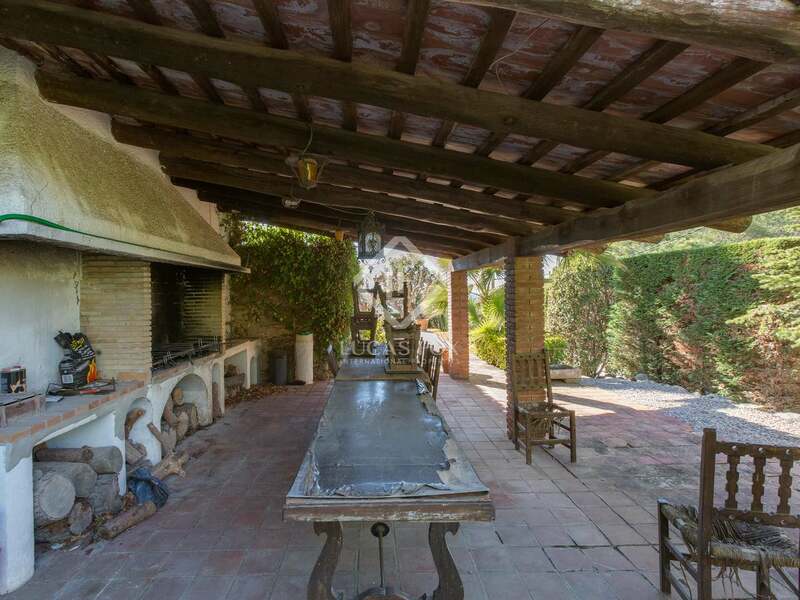 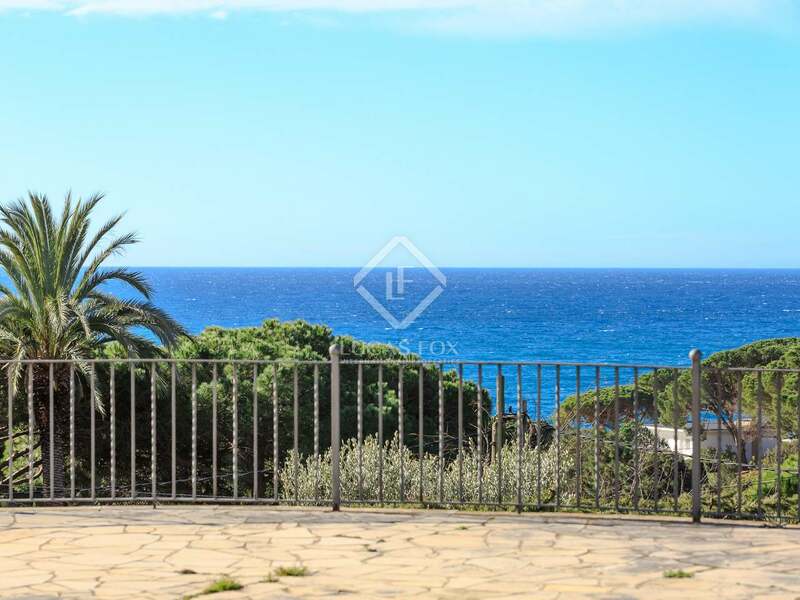 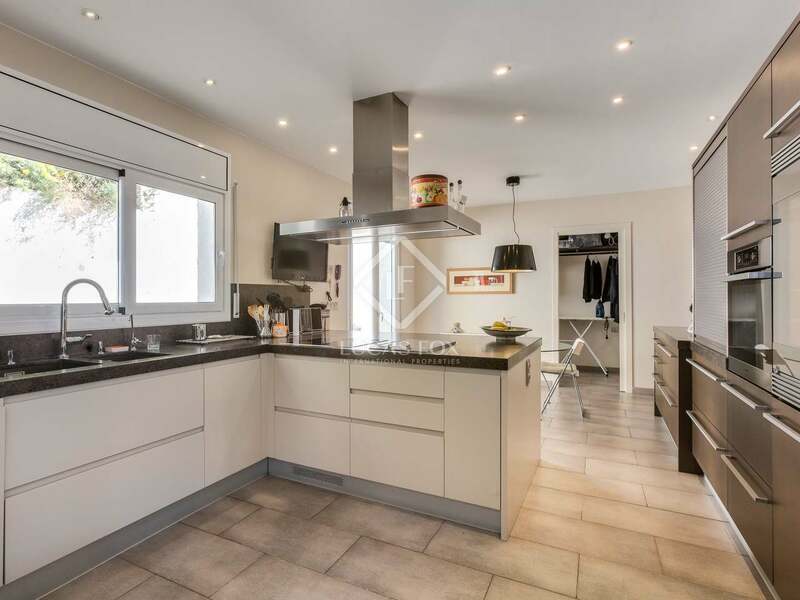 Property located in a very privileged area and within walking distance from the beach belonging to the Montgosa neighbourhood (Cala Trons) which is only 350 metres away. 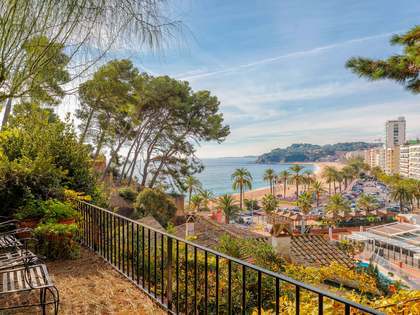 The town of Lloret de Mar, with all of its amenities, is also just 20 minutes away on foot. 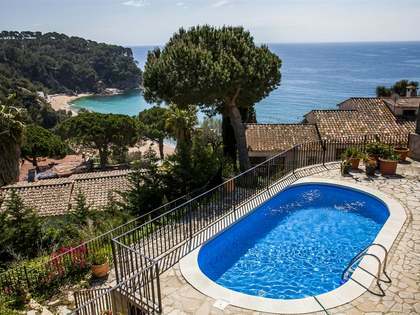 Montgoda is an exclusive quiet residential area near Lloret de Mar. 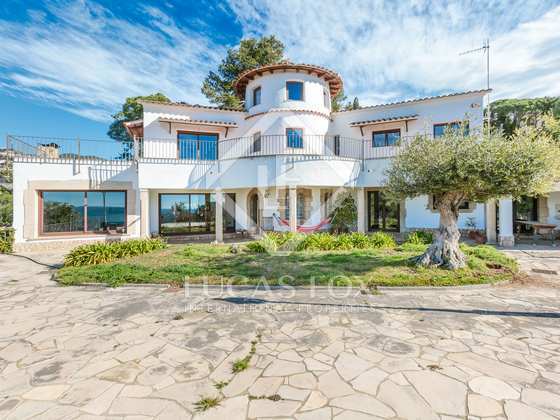 It has community services, such as a tennis court, swimming pools, soccer fields, swings, etc. 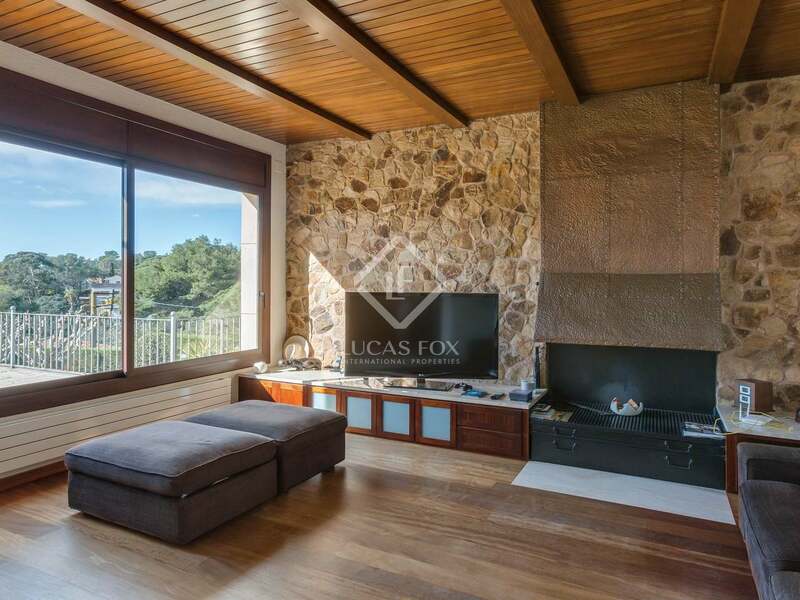 Lloret de Mar is 1 km from the property and the PGA de Catalunya golf course and Girona airport are 30 km away.